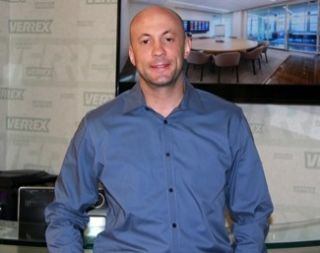 Verrex has hired Jonathan Shor, CTS-D, as senior sales account executive. Based at the company’s global headquarters in Mountainside, NJ, Shor will support existing client relationships and expand into new global enterprise accounts and markets. He reports directly to Verrex vice president of global sales, Bill Chamberlin. Shor contributes more than 18 years of AV industry sales leadership and system design expertise to Verrex. Career highlights include director of technology and production of McCann Systems; associate principal – manager of NY AV Design Department of Shen Milsom & Wilke; and regional director – Northeast Territory of Whitlock. Most recently Jonathan designed cutting-edge systems for Fortune 500 companies as senior vice president of engineering of McCann. Jonathan holds a bachelor of arts degree in mathematics from Kean University and the Certified Technology Specialist – Design (CTS-D) designation from InfoComm International.